Tina Fontaine didn’t get a single counselling session before her death, despite ongoing recommendations for mental health support and requests from her family and school, according to the long-awaited report in the teen’s death and the systems meant to protect her. The 115-page report from Manitoba Advocate for Children and Youth says the teen wasn’t invited to participate in counselling after her father’s homicide in 2011, and the supports she needed to protect her from adults who were exploiting her in the final months of her life never came. Daphne Penrose, the advocate, released her report in Fontaine’s home community of Sagkeeng First Nation, Man., at 11 a.m. CT. It makes five recommendations to Manitoba agencies. Prior to the release of the report, Fontaine’s great-aunt Thelma Favel told CBC News the document contains many “heavy” and “heartbreaking” details. The report reveals new details about how “the system turned Tina away” and new details about her biological parents and their contacts with the child welfare system, according to Favel. For the Fontaine report, the advocate’s office said she reviewed many files from different sources, including the RCMP, Winnipeg Police Service and Manitoba Victim Services, and conducted individual and group interviews. It found escalating indications Fontaine needed help didn’t lead to actions to help her. The report says the 2011 death of Fontaine’s father, Eugene Fontaine, came at a crucial time in her adolesence. She was 12 when Eugene Fontaine was beaten to death. After her father’s death, Fontaine started missing school, the report says. By the time she was suspended for a second time in April 2014, absenteeism was “chronic” and “severe,” it continues. It found no action was taken by the school to address her missed classes and she never returned to school after the second suspension. In addition to a lack of grief counselling after her father’s death, Fontaine wasn’t given help to work on a victim impact statement for the trial of two men convicted in his death or permitted to write a combined statement with her family, the report found. Some child welfare organizations didn’t recognize Favel as her legal guardian after her father’s death, and left primary decision-making in the hands of her mother — despite the fact she hadn’t had contact with her mother for over a decade. 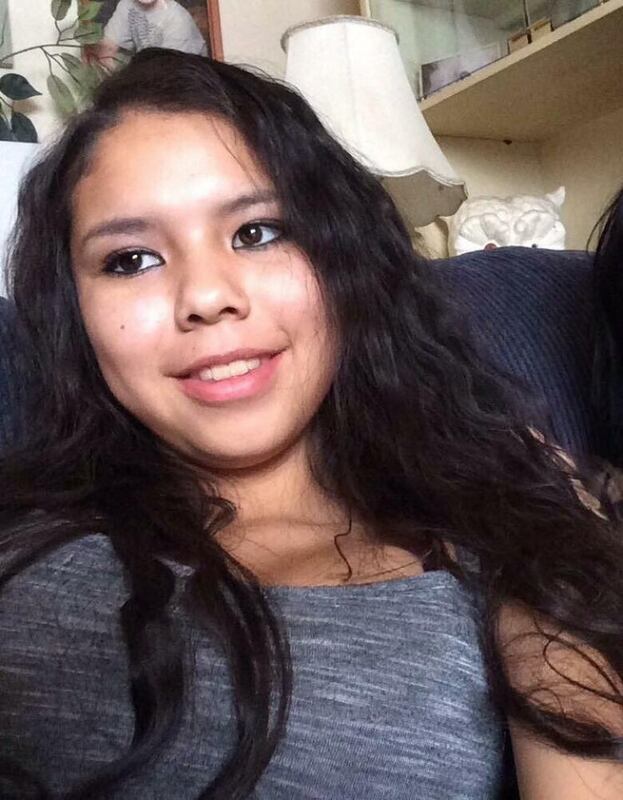 In November 2013, Fontaine ran away from home to Winnipeg to visit her biological mother and child welfare workers placed her in a shelter for two days before her family in Sagkeeng could pick her up, the report says. In January 2014, medical personnel failed to establish a follow-up plan when she went to Pine Falls Health Complex with self-inflicted cuts to her arm. The report also says multiple indicators Fontaine was being sexually exploited by adults were missed by child welfare workers in Winnipeg who dealt with her file. In early August 2014, after Fontaine told her CFS agency she was spending time with a 62-year-old man who used meth, the CFS agency dropped her off with contracted care workers at a hotel in Winnipeg — the only placement option available, the report says. When she walked away shortly after being dropped off, it was the last time she was reported missing before her body was found. Favel says she repeatedly asked SagkeengCFS for help getting counselling for her niece the summer she went to Winnipeg. She said they told her to go to another agency because Tina wasn’t in Sagkeeng. That agency told her it couldn’t help because of a jurisdictional issue. “I don’t know how many times the door closed. I said, ‘Please just help me,'” Favel said prior to the release of the report. Social workers missed signs she was being sexually exploited in Winnipeg, the report says, even though Favel had flagged a concern about sexual exploitation in April 2014. The report contains five recommendations to address the gaps it identified in the system during its analysis of Fontaine’s case. Manitoba’s government analyze Alberta’s Protection of Sexually Exploited Children Act and Drug-Endangered Children Act to determine how safe and secure treatment facilities can be introduced in Manitoba; and that a plan be developed to ensure the continuum of youth services includes safe, secure, home-like settings for treatment and programming when children are at imminent risk of harm or death. Manitoba Families, in consultation with other government departments and relevant stakeholders, create a new protocol to ensure that response plans are created for all missing youth, and in particular sexually exploited youth who are at risk of imminent harm. Manitoba Justice evaluate victim support services for children, and develop quality control measures to ensure that services are child-centred and timely. Manitoba Health, Seniors and Active Living expedite release of a clear implementation plan of child and youth mental health supports as recommended in the 2018 Virgo Report. Manitoba Education and Training review its monitoring of student absenteeism and use of out-of-school suspensions and expulsions, with a view to limit exclusionary practices; this builds on a previous recommendation from the child advocate in a report on the 2016 death of an Indigenous teen in care. The plan needs to ensure resources are “prioritized in rural and remote locations to ensure equitable service levels for children and youth regardless of where they are living,” the report states. Prior to the release of the report, former Manitoba Keewatinowi Okimakanak grand chief and Indigenous advocate Sheila North said she hoped the recommendations include making supports more accessible to Indigenous women and girls in crisis. “I think a lot of the times our young people and our women become vulnerable because they don’t have what they need to survive,” North said Monday.North hopes the advocate’s report will create change in the child welfare system but warns much more work needs to be done.